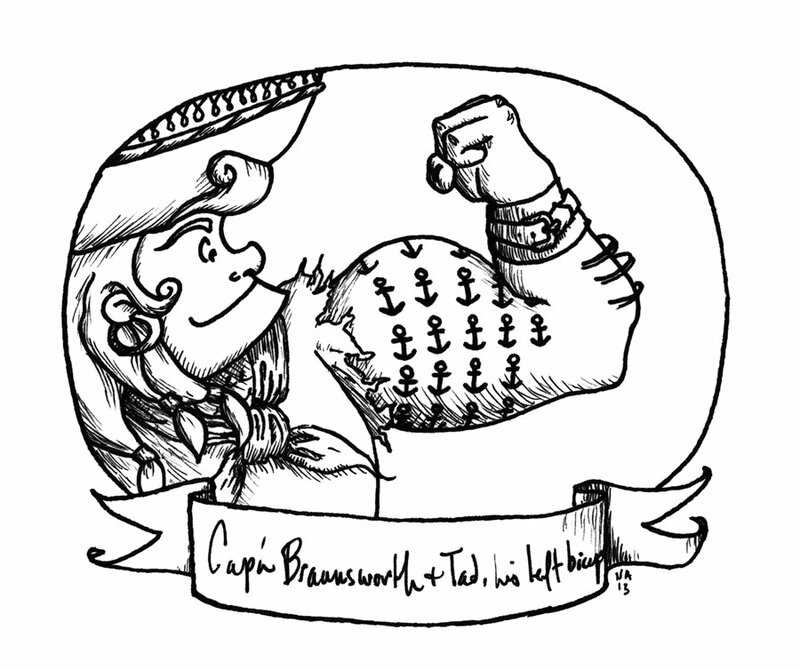 Today’s scrimshaw doodle features the supremely muscular Cap’n Brawnsworth and his left bicep Tad. 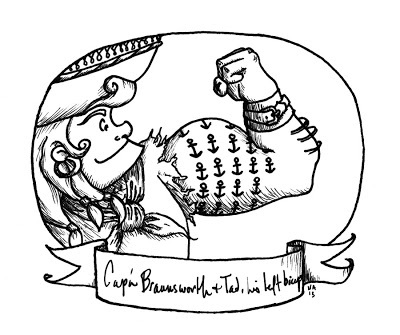 His right bicep is named Chester, but sadly because of a rogue parrot attack, he refused to be drawn. Not being in peak condition, you see.